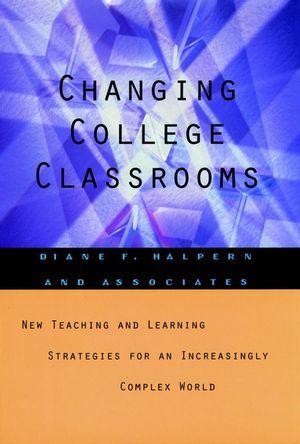 Changing College Classrooms provides useful ideas on the four hottest issues in higher education today: active learning, diversity, technology, and assessment. Every faculty member will find at least one chapter well worth reading. DIANE F. HALPERN is professor of psychology at California State University, San Bernardino. Instructional Strategies That Promote Active Learning. Teaching With and About New Technologies. Assessing Teaching Effectiveness and Learning Outcomes.